A while ago, I posted the link to The Vendor-Client Relationship, in Real-world Situations. It raised a bit of awareness to the hypocrisy of the design industry, where clients and contractors over-expect liberties from creatives. I firmly believe this is inherently an industry problem, not one that plagues specific people or firms. #CoglioneNo is Italy’s take on the same dilemma. Most of their videos focus on young creatives, however the issue plagues those of all experience levels. Not only did their PSAs strike a chord with me, they also helped me practice my limited knowledge of Italian. Thank you to Mike for pointing this to my attention. Paolo, you might appreciate this. Jacqui Badri liked this on Facebook. Nick Musica liked this on Facebook. Mike Citarella liked this on Facebook. Rafal Truchan liked this on Facebook. Camila Baldo Caneiro liked this on Facebook. Sara Higgins liked this on Facebook. Thank you for sharing this overseas! 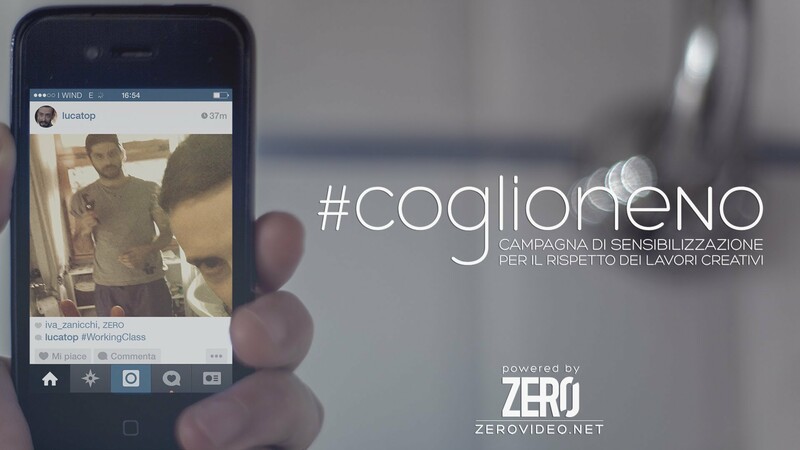 The #CoglioneNo campaign is becoming viral in Italy among creative networks. As long as i understood talking to people from all over the world, our country is the worst in terms of respect of creative work. We are unrespected, neglected, and most of all underpaid.